Just another training run on a sunny day. Always carry water! 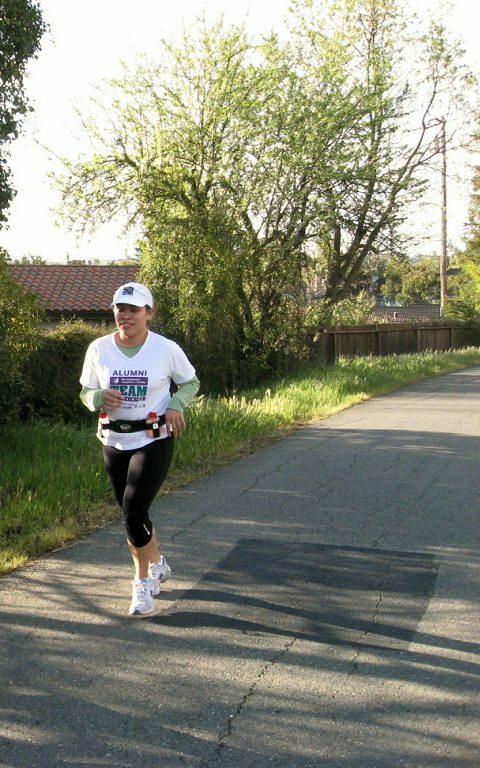 My all time favorite run is the Nike Women’s Marathon and Half Marathon that takes place every October in San Francisco. I have been running it since 2005 and haven’t missed one yet because I’ve mostly only participated through Team In Training (TNT). Team In Training is a non-profit endurance training program that benefits the Leukemia & Lymphoma Society (LLS). LLS is the world’s largest voluntary health organization dedicated to funding blood cancer research and providing education and patient services. They have invested more than $600 million in research since 1949 – specifically targeting leukemia, lymphoma and myeloma. Last year alone, LLS made 6.3 million contacts with patients, caregivers and healthcare professionals. Every 10 minutes, someone in the U.S. dies from a blood cancer. This statistic represents nearly 148 people each day, or more than six people every hour. Leukemia causes about one-third of all cancer deaths in children younger than 15 years. Training for a marathon takes dedication and having group support is the best motivation to keep going. Imagine waking up at 5am on a Saturday morning to go run 10 miles. You might be tempted to hit the snooze button or “promise to do it later”, but not when you have coaches, volunteers, and families who need your help! Plus, by participating with TNT you are also giving back. Fundraising may seem like a small effort but it really does make a difference! The best part is that you are not alone! TNT provides support to help you fundraise successfully, and if you stick with it — an amazing accomplishment awaits. Sometimes the accomplishment is a little hard to see but if you look closely you’ll notice smiles and silent nods of “thank-you” — that is the accomplishment: hope for those afflicted with blood cancers. Every four minutes one person is diagnosed with a blood cancer. …Who knew my bucket list item: run a marathon would involve a lot of early Saturday morning runs and lead me straight into the arms of Team In Training. It took me to an organization I respect and admire. It brought me to a place I just cannot get enough of and it keeps me coming back for more. Help make a difference and make a donation today.